If you are into Panerai’s then you are definitely going to become addicted to buying new straps for your time piece. 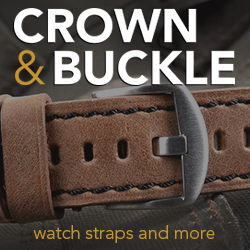 When you search for some for straps throughout the forums and online you will certainly be directed to one of the most unique strap makers out on the market today. 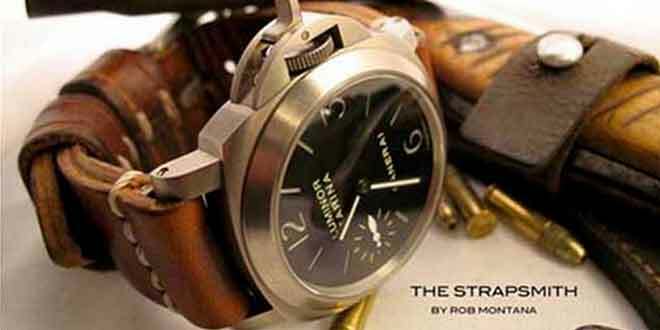 The one and only Rob Montana of http://www.thestrapsmith.com. Panerai Central had the honor of getting an exclusive interview with Rob to discuss the finer things in life and of course the art of strap making. 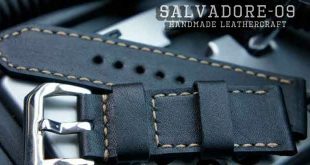 We will soon be reviewing some of his stunning straps as well as his other hand made leather goods. Rob: I have always loved watches and it wasn’t until I discovered Panerai that I became introduced to the world of straps. I went to my first Panerai GTG in Seattle where I was exposed to many different models but also a decant sized collection of straps. I grew up with leather as my father was the leather craft instructor at our local 4-H branch but it had been a long time since I had worked with it. I became obsessed with finding the right leathers, tools, and materials to work with. This lead me to Italy to buy leather and tools that the old world craftsman use. I started making straps about 6 years ago. Rob: This varies greatly depending on the leather chosen, what type of construction they want, the buckle they select etc… My straps are all hand stitched which takes about 30 minutes alone. Some vintage leathers have to be deconstructed, cleaned and conditioned before starting. It ranges between 1.5 hours and 2. Panerai Central: When looking through all your beautiful straps one can only admire the leather that is used. Where do you source them and what draws you to a specific style or color? Rob: I have 2 tanneries in Italy that I work with and 2 here at home in the US. I look at leather stores when I travel and also online when I have time. I pick up pieces here and there along the way if I think it’ll make a good strap! Rob: When I started, there were only about 5-6 custom strap makers in the world that I could find. I appreciated all their work very much and felt a natural connection with them. So much so that I actually made it a goal to meet as many as I could. This lead me to Italy, Switzerland, Wyoming and different places around the globe. When I started it was easy to bring new and unique pieces out but now with so many makers, many copying everyone else, it has become more difficult. Many have improved significantly and I know that many of the new makers ordered straps from all of the existing makers only to break the straps down to copy them…going so far as to then ask where they source their leather, tools, threads etc… This was very disheartening. But they say copying is the greatest form of flattery! 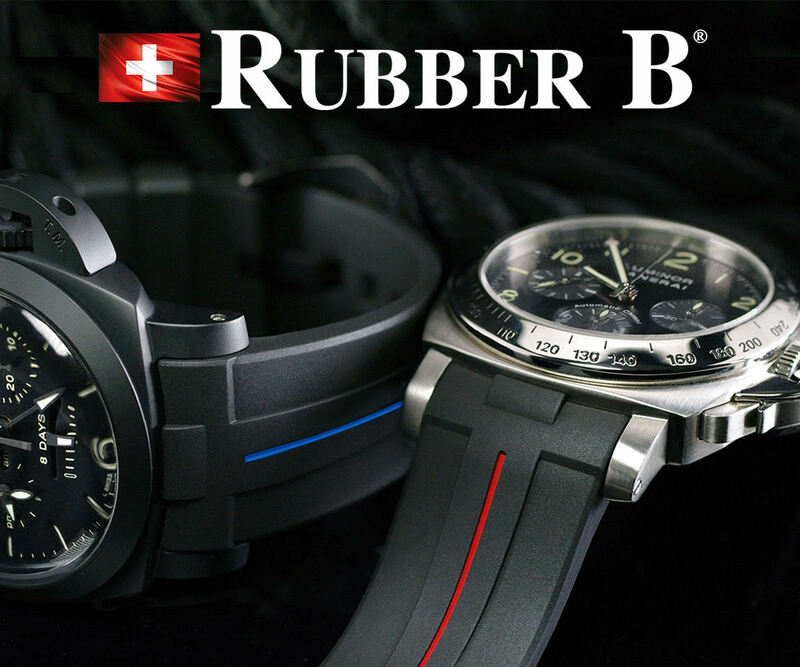 Rob: I personally enjoy having many straps to choose from because they can radically change the look of your watch. It almost gives it a complete personality change. You can go from dressy to casual, to vintage to loud and bright. 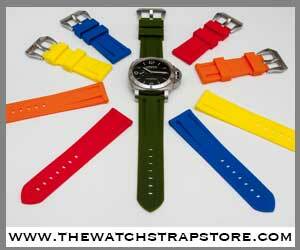 And, it’s much cheaper to buy a new strap to change the look rather than a new watch! 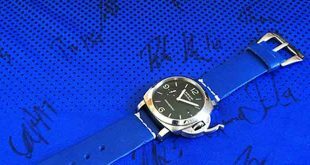 Panerai Central: What can we expect from The Strap Smith in the future? Rob: I am working on expanding my line to offer different styles of straps and working towards making for even more brands. I am always on the look out for great leather be it new or vintage. Rob: This is hard for me to choose! My personal favorite SUB is the 243 but I have yet to fully decide on my favorite non sub Luminor. For Radiomir’s I have always liked the simplicity of the 232. And then there are the vintage pieces which are fantastic but would a purchase of one of those might find me divorced! Now there are all the new releases, both historic style and new, with Panerai’s in-house movements that make it even more difficult to choose from. I have to choose my favorite within my budget. Panerai Central: What has been your most outrageous strap request? Rob: I take on a lot of custom work from items that people have. This can range from old baseball gloves, college professor briefcases, shoes, saddles, purses, saddle bags etc… Nothing really seems outrageous any more. I enjoy working on new projects. Rob: Thanks for the kind words. If I had a endless supply of money I may collect watches but I try to balance it out with my lifestyle and other interests. I race off road motorcycles, ski/snowboard, sail, mountain bike and love to travel so this doesn’t leave me with a lot of extra funds to buy watches. I have a very small collection of 5 pieces but my favorite is my Grandfathers old Omega Constellation. Panerai Central: Obviously straps are your core business but which area of your beautiful hand crafted items are you most proud of and want to put more time into? 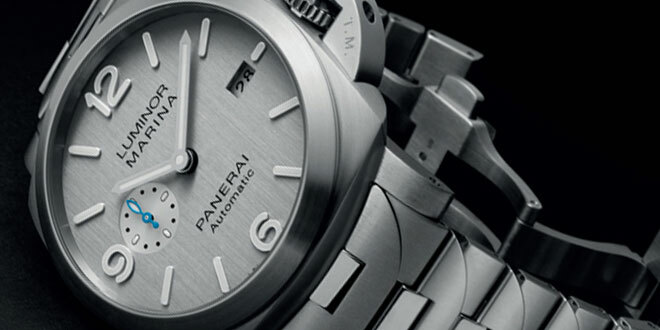 Panerai Central: Do you frequent watch forums and communities? If so what are some of your favorites? Rob: I very much enjoy the watch forums and the people on them. I don’t’ have the time that I used to post so often I read as much as I can before heading to bed for the eve. Paneristi.com was my first forum and where I made some great friends so Paneristi.com will always be close to my heart. Otherwise I spend time reading on quite a few other forums from general sites covering all different brands to specific brand forums i.e. Bell&Ross.